Pinellas County Schools – What’s new? 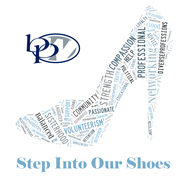 July 20, Lori Matway speaks to BPW about Pinellas County School system. Lori Matway is the Associate Superintendent, Student and Community Support Services. Lori Matway joined the district in 1987 working as a middle school and high school social studies teacher for 11 years. She also served as a track and cross country coach at both levels. In 1998, Matway joined the district’s administrative ranks as an assistant principal at Kennedy Middle School, which is now known as Clearwater Fundamental. 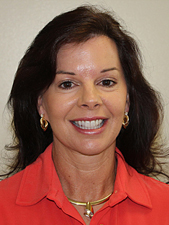 In 2005, Matway was named principal at Pinellas Park Middle School, where she worked for two years. In 2007, Matway left the district to join the City of St. Petersburg as the managing director of Education and Government Services. In that capacity, she was responsible for growing the city’s programs that supported schools, to include the Mayor’s Mentors & More program. Matway worked to recruit mentors for the city’s 43 public schools; secure private funding for TSIC/Doorways Scholarships; pair public schools with corporate partners; and fund incentive programs for principals of top-performing schools. Matway holds a bachelor’s degree in Secondary Social Studies and a master’s degree from the University of South Florida in Educational Leadership. Matway served as president and treasurer of the Secondary Assistant Principal’s Association and was winner of the 2013 Chairman’s Award from the Pinellas Education Foundation.